I got this book in Delhi Airport. 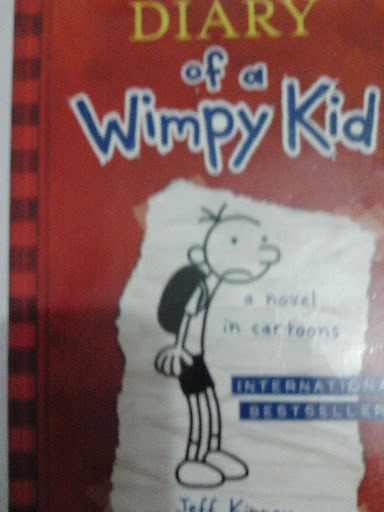 The author is Jeff Kinney. 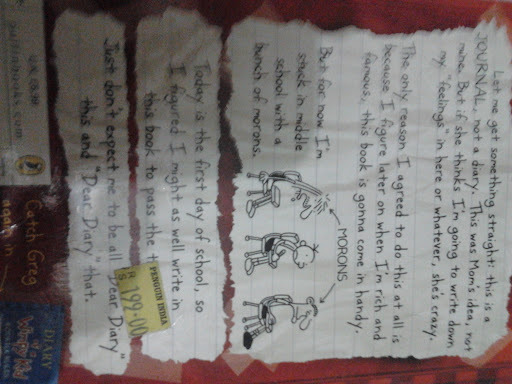 Gregory Heffley writes about all that happens at his school when he gets a diary presented by his mother. He has an elder brother named Roddick and a younger brother named Manny. He has also got a friend named Rowley Jefferson who is a patrol in the school. Rowley loves to play car games. He wins the class clown award for his Zoo-Wee Mama story. Greg’s mom does not scold anybody if they do any mischief. But will cancel all the fun they wanted to have in their holidays. Greg and Rowley get crazy ideas like starting a haunted house, but Rowley’s father does not allow them. Many other funny things happen which Greg has written in his diary.